Pacific Northwest homeowners are faced with the challenge of defending against moisture at least nine months of the year. Water vapor barriers prevent moisture-laden air and water from creeping into crawlspaces and encouraging mold growth and breakdown of the foundation. Vapor barriers are sheets of special plastic that seal the subfloor and air vents so water and vapors cannot penetrate. Northwest Weatherization knows that sealing your crawl space is the best defense against flooding, mold growth, and dangerous gases like radon. We know how to keep the spaces under your house dry. Take preventative action against unwanted elements. A vapor barrier installation protects your home at the ground level. Don’t wait until problems begin. When there is mold, moisture, or contaminant buildup under your home. Seepage and flooding can wash in sewage and cause health problems. Vapor barriers keep unwanted substances out of your crawlspace. Additionally, they block moisture and water, helping to protect your foundation and prevent mold growth. If mold and odors are evident. Mold loves dark and wet areas like crawlspaces. It often grows into the basement and travels further into walls and flooring. Restoration after mold is established can be costly. Our barriers stop mold before it starts. To avoid cracked or burst pipes. Freezing temperatures can cause pipes to burst. Insulating your crawlspace raises the temperature of the area and regulates basement and crawlspace temperatures. This helps pipes stay warm and functional. If your heating and cooling efficiency is low. Moisture has a cooling effect which can lead to furnaces working overtime. The effect can be an increase in your electrical bill and a reduction in your furnace’s lifespan. Our technicians are experts in saving you money by installing moisture barriers that work best for your home. 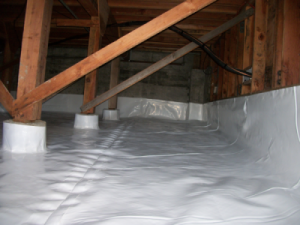 Protect your home from flooding during the rainy months with crawlspace encapsulation! Call us to discuss the best solution for your home. We Offer Cost-Effective Solutions for Your Home. The point at which a leak is discovered can mean that structural damage has already occurred. Damage can be extensive and costly, which is why we encourage our customers to be proactive in their weatherization tactics. Installing a vapor barrier protects your home from moisture entering from the soil. Depending on the size of your crawlspace and position of your home we may advise using 6, 8 or ever 12-millimeter vapor barriers. The material is extremely durable and perfect for underground storage. 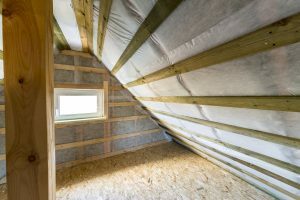 The cost of installing a vapor barrier can vary depending on the square footage of your home as well as if barriers are required in other areas like walls and attics. Crawl space encapsulation is beneficial to your health. Radon was carried to the Pacific Northwest by granite rocks during a period of flooding thousands of years ago. Though it is naturally occurring and found everywhere in the world, radon has been of particular concern here because it’s very prevalent and has proven links to lung cancer. The soil composition in some areas is heavier in these elements than others, which is why it’s important to have your home’s radon levels tested. Crawlspace encapsulation uses our thickest 12 mil vapor barriers and special plastic tape in order to seal off your sub floor and vents. This method keeps you safe and healthy by preventing harmful gases like radon from entering your home. Our main priority is to protect the homes and health of Northwest residents. 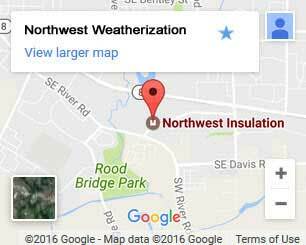 We make it easy to solve insulation problems common in the area. You can trust us to provide dependable local service and affordable prices. Contact us today.